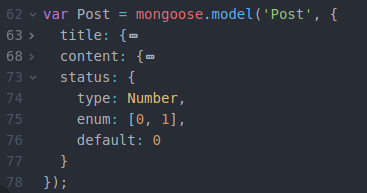 We use _.pick(object, [paths]) to create an object composed of the picked object properties. 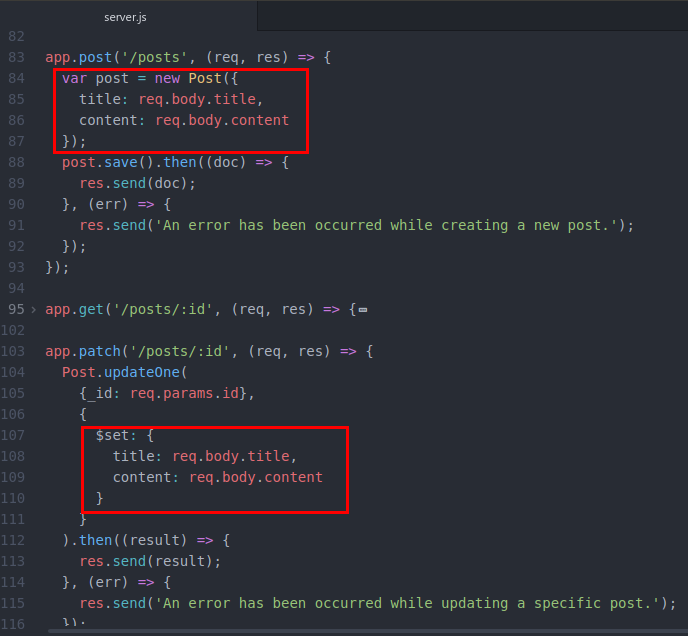 Modify the code for POST and PATCH methods. 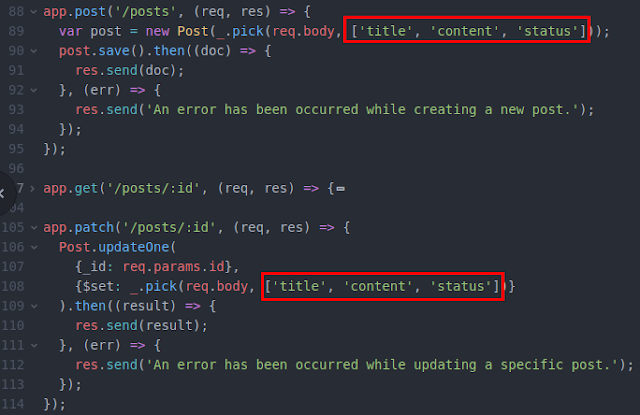 Each post has the status published or unpublished (maybe more statuses in the future), default is unpublished. Only display a list of published posts for "GET /posts"
Only display a specific published post for "GET /posts/:id"
Only owner can use the "POST /posts", "PATCH /posts/:id" and "DELETE /posts/:id" routes. enum: Array, creates a validator that checks if the value is in the given array. In the future, we will add more status to "enum"; now only 0 (unpublished) and 1 (published). default: Any or function, sets a default value for the path. If the value is a function, the return value of the function is used as the default. It's the preparation for our tasks. Now, let's do them. It's easy, inside findOne(), add "status: 1"
Only owner can use the "POST /posts", "PATCH /posts/:id" and "DELETE /posts/:id"
To resolve this task, we will attach "X-CSRF-Token" to header when call each route. We will create "POST /users/login" with email and password. If authenticated, we will receive the token to attach to header. 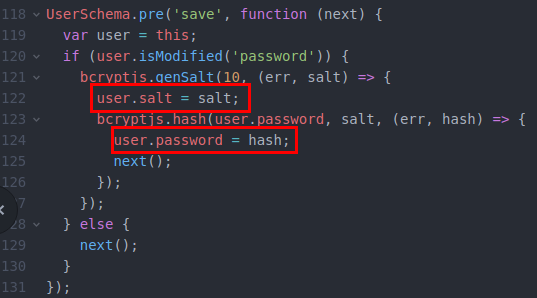 The library to help you hash passwords in this tutorial is bcryptjs https://www.npmjs.com/package/bcryptjs. tokens field is an array, because we can login in desktop browser, mobile or desktop app, laptop, tablet, etc at the same time. Each device or browser will have the unique token string and expired time. expired: we will use cronjob to delete the expired token in the future, don't care about this now. We want to create "POST /users/login" with email and password. If authenticated, we will receive the token to attach to header. But we don't have any users to get the token now, so we create "POST /users" to create a new user (for security purposes, you can remove this route when go live or use "Http authentication" popup to prevent create a new user on your production). Now, call route "POST /users/login" with email and password to get the token! Now, update our source code with the token to make sure only owner can use the "POST /posts", "PATCH /posts/:id" and "DELETE /posts/:id"
then update "POST /posts", "PATCH /posts/:id" and "DELETE /posts/:id"
We will optimize code later, but now that's it.